Preview: "Cleveland Orchestra's 'E.T.' concerts at Blossom near and dear to outgoing conductor Brett Mitchell"
The Cleveland Orchestra and outgoing associate conductor Brett Mitchell will close the 2017 summer season this weekend at Blossom Music Center with three performances of "E.T. the Extra-Terrestrial," live with the film. One of his favorite movies. His favorite film composer. Some of the first orchestral music he ever heard. His last appearance in Cleveland as associate conductor. For all these reasons and more, the Cleveland Orchestra's performances of "E.T. the Extra-Terrestrial" live with the film this weekend at Blossom Music Center are meaningful to Brett Mitchell. "There are so many reasons why this is absolutely perfect," said Mitchell by phone from Denver, where he already has begun work as the next music director of the Colorado Symphony. "I'm going to do my best not to become a complete, blubbering mess." Start with the personal element. Like many of his generation, Mitchell treasures "E.T." He said it's the first film he saw in the theater with his grandparents, at the tender age of 3. Beyond that, it's dear to him as an iconic creation of John Williams, a composer the adult Mitchell has long championed, here and elsewhere. "It almost feels like cheating because I know this movie so well," Mitchell said. "Most of the impactful films of my childhood were films by John Williams." And those are just Mitchell's associations. Truth is, even if another conductor were on the docket, "E.T." would still be an inspired musical choice for Labor Day weekend. First off, ye classical purists: "E.T." is fully worthy of the Cleveland Orchestra. Ask any musician and she'll tell you: film scores, especially those by John Williams, can be seriously challenging, every bit as demanding of talent and attention as traditional concert works. 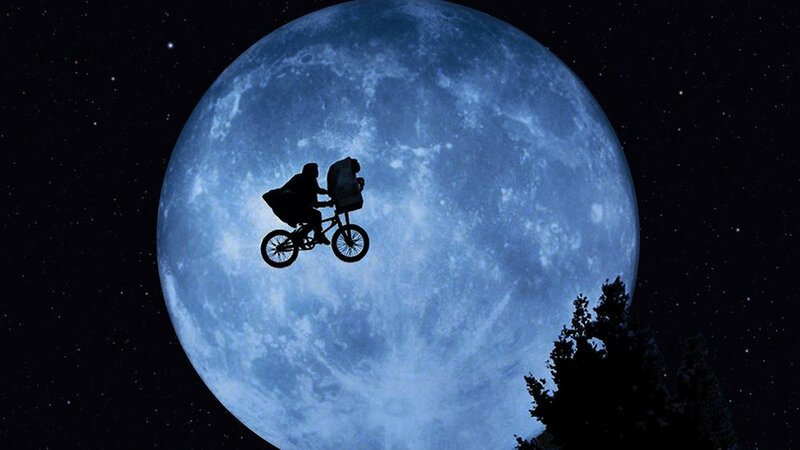 Consider this example of the composer's genius in "E.T." That famous soaring theme, the accompaniment to the airborne bike ride? Part of the reason it's so stirring is that by the time it arrives, we've been waiting for it. We've heard bits of it, and there, for the first time, we encounter it in full. "He doesn't just come right out and play the themes," Mitchell said. "That's what makes that payoff so extraordinary. It's just fantastic music. I don't think anybody can doubt its integrity." Then there's the whole matter of audience outreach. As anyone who's attended an earlier film concert at Blossom or an event in the orchestra's "At the Movies" series, there's nothing more effective than film music for attracting new or infrequent listeners. Imagine, then, the potential impact of "E.T." Between the film itself, one of the most widely beloved cinematic works of all time, and the conductor's abundant, obvious affection for it, a whole lot of people are in for a really big treat. "It is not a mistake we're doing this," Mitchell said. "When you can get someone on the podium who loves this movie as much as I do, it's kind of a no-brainer." Newer PostAudio: "Movie Night at Blossom with The Cleveland Orchestra"
Older PostFeature: "Colorado Symphony’s new music director leads bold drive to grow audience"